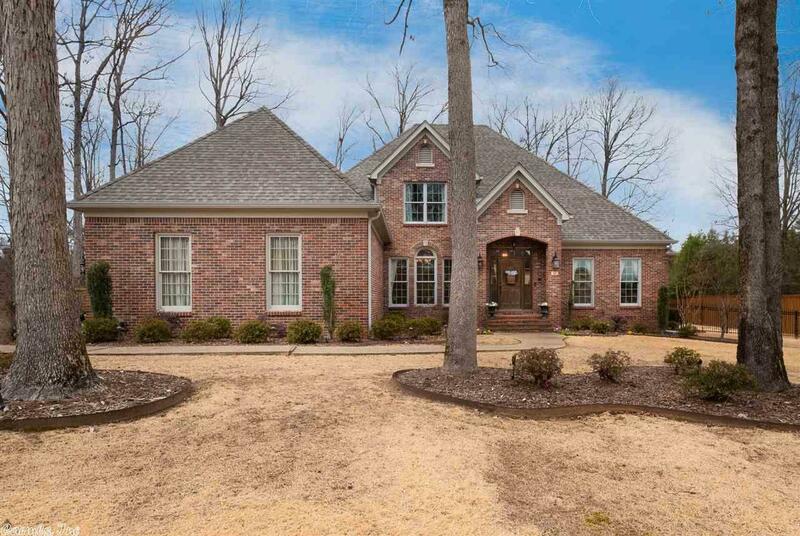 Gorgeous Chenal home with wonderful floor plan on a lovely level lot. Handsome new & newly refinished HDWD floors on main lvl. Great Rm w/new built-in cabinetry flanking gas FP looks out to large yard & deck. Fantastic kitchen w/new appl, slab granite, large island & eat-in area flows to cozy hearth room & wet bar. Spacious master suite w/large bath & office w/built-ins on main lvl. Upstairs are 2 guest bdrms w/shared bath & 1 guest suite. Newer light & plumbing fixt, newer AC unit up. 3 car gar. Come See!